(by Tom Ridge, USA Today) – On Sept. 11, 2001, the shocking terrorist attack in the heart of New York City, at the Pentagon and in my home state of Pennsylvania prompted our nation to confront a very real question: Are we truly prepared? Every day, almost 1 million packages are shipped into the United States through the U.S. Postal Service from China, Russia and other foreign countries. These packages go generally unchecked for dangerous and illegal content. While this may be a surprise to some, it is not a new issue. The same year the Department of Homeland Security was formed, Congress passed the Trade Act of 2002 and recommended that agencies be provided with the electronic security data necessary to weed out dangerous packages before they enter the U.S. The creation of the Air Cargo Advance Screening System in 2010 strengthened these security measures by establishing analytical algorithms that enable law enforcement to identify and target suspicious packages before they arrive on our shores. While private sector carriers such as FedEx and UPS quickly adopted new technology and conformed to these updated security protocols, foreign postal services as well as the U.S. Postal Service failed to do the same. So most foreign packages shipped through the Postal Service into our country remain without essential security data that law enforcement officials need to properly screen packages and keep our communities safe from terrorists as well as drug traffickers contributing to America’s opioid epidemic. The ever-increasing volume of foreign packages bound for the U.S further compound these issues. It is unrealistic to expect our intelligence officers to individually inspect each package. But like many other areas of national security, we have the ability to be smart in how we assess, monitor, and manage the risk. We need to require foreign posts to provide essential electronic data, otherwise critical security protocols will remain ineffective. We have already seen the vital need for advanced data on all foreign shipments. In 2010, U.S. Customs and Border Protection intercepted an explosive disguised as a printer cartridge from Yemen. Al Qaeda specifically designed the package to elude U.S. standard security measures. Even X-rays could not detect the device. If not for outside intelligence information, our law enforcement would not have been able to successfully intervene. While we have been lucky that a similar situation has not occurred in recent years, luck is not a national security strategy. We need to be forward thinking in how we secure the various transportation modes crossing our borders — whether that is by planes, trains, cargo or mail. I recently contributed to A National Blueprint for Biodefense, which assesses the risks America faces against bioterrorism, an area I expect will only increase as terrorists seek new ways to wreak havoc on our country. The fact is we are unprepared to deal with this type of attack — one that can too easily occur if our global postal system is left in its current state. Given the significant investments we make in our homeland security efforts, it is time to act to close the dangerous security loophole that allows 340 million packages each year to enter the U.S. essentially unscreened. Instead of costing U.S. taxpayers, closing this loophole would actually result in an increase of more than $1 billion in U.S. revenue that is currently being lost in duties and fees, according to a Copenhagen Economics study. I am proud to join Americans for Securing All Packages, a bipartisan coalition of security experts and concerned families, who are calling for action to ensure that all packages entering the United States are adequately screened before arriving on the doorsteps of unsuspecting Americans. 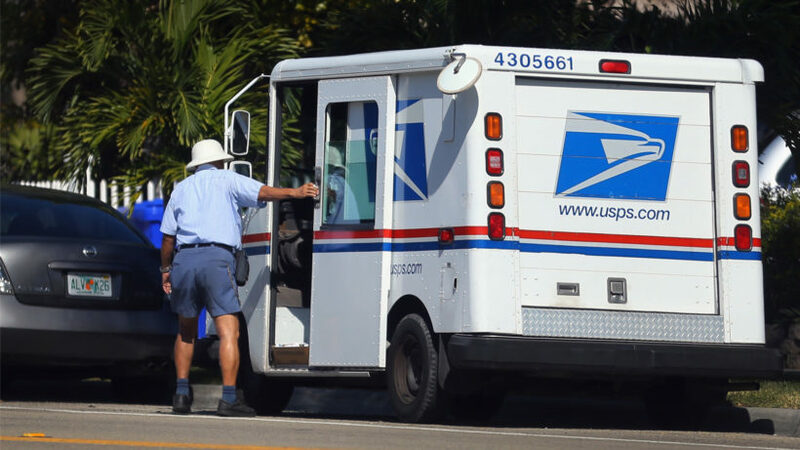 We need President Obama and Congress to take action and require that all postal carriers, not just private companies, do their part to keep our country safe. It is not a matter of if it can be done, it is when. The safety of our country depends on it. Tom Ridge was the first Secretary of the Department of Homeland Security and the 43rd Governor of Pennsylvania. He chairs the U.S. Chamber of Commerce’s National Security Task Force and is senior advisor to Americans for Securing All Packages (ASAP). Posted at USAToday.com on September 7, 2016. Reprinted here Sept. 8, 2016 for educational purposes only. 1. The purpose of an editorial/commentary is to explain, persuade, warn, criticize, entertain, praise or answer. What do you think is the purpose of Tom Ridge’s editorial? Explain your answer. For each, do you agree or disagree? Explain your answers.